Portrait of a Jewish girl at her bat mitzvah at Temple Adat Ari El in Valley Village, CA. 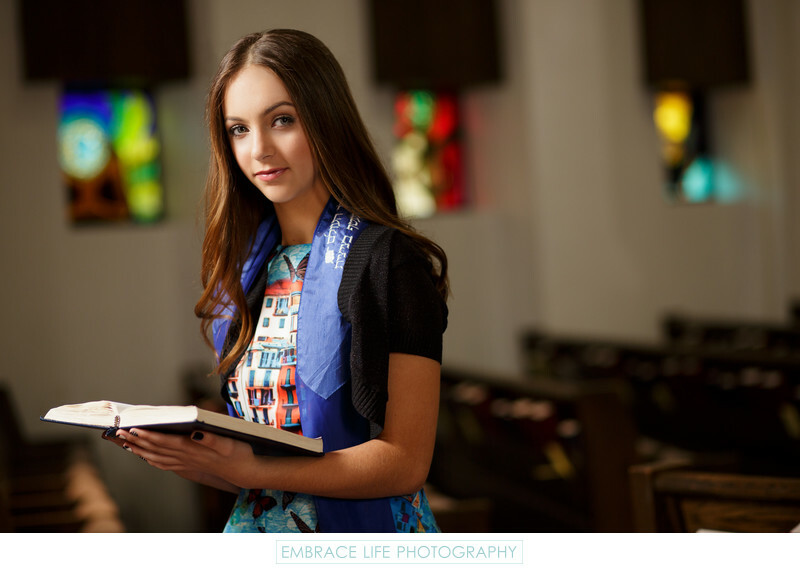 The bat mitzvah wears a blue tallit while holding her siddur with a backdrop of wooden pews and stained glass windows. Location: 12020 Burbank Blvd, Valley Village, CA 91607.